KRASNOYARSK, Russia – Ben Newhouse (Edina, Minn./Northern Michigan University), Ty Pelton-Byce (Madison, Wis./University of Wisconsin) and Quinn Ryan (Branchville, N.J./Liberty University) each scored once, but the U.S. Men’s National University Team (1-0-0-3/W-OTW-OTL-L) fell to Slovakia, 6-3, in its fourth game at the 2019 Winter World University Games. Slovakia opened the scoring just 26 seconds into the game to take the 1-0 lead. Following the opening goal, Slovakia doubled its lead at the 7:54 mark. Team USA recorded seven shots in the opening period, but went to the locker room trailing, 2-0. The U.S. struck quickly to open the second period when Pelton-Byce tallied the team's first goal of the game. Pelton-Byce scored just 1:33 into the second period with Sam Rennaker (Grand Rapids, Mich./University of Maine) and Ryan Finnegan (Tecumseh, Kansas/Lindenwood University) picking up the assists. Slovakia responded quickly, scoring two minutes after the Pelton-Byce goal to restore the two-goal lead. Team USA answered at the 10:43 mark of the second period when Newhouse scored off a pass from Jake Pappalardo (Salem, N.H./College of the Holy Cross). Slovakia immediately responded to the U.S. goal and restored its lead to two just 25 seconds after the Newhouse goal. Slovakia added a power play goal with 6:29 remaining in the second period and expanded its lead to 5-2. The U.S. got on the board 14:36 into the third period when Ryan scored to bring the score to 5-3. Jake Townsend (Highlands Ranch, Colo./Lindenwood University) and Jack Rowe (Cary, Ill./Arizona State University) picked up assists on the Ryan goal. Team USA pulled Kristian Oldham (Anchorage, Alaska/Clarkson University) with 1:11 remaining for a sixth attacker. Slovakia tallied its sixth goal of the game into the empty net with 19 seconds remaining in the contest. 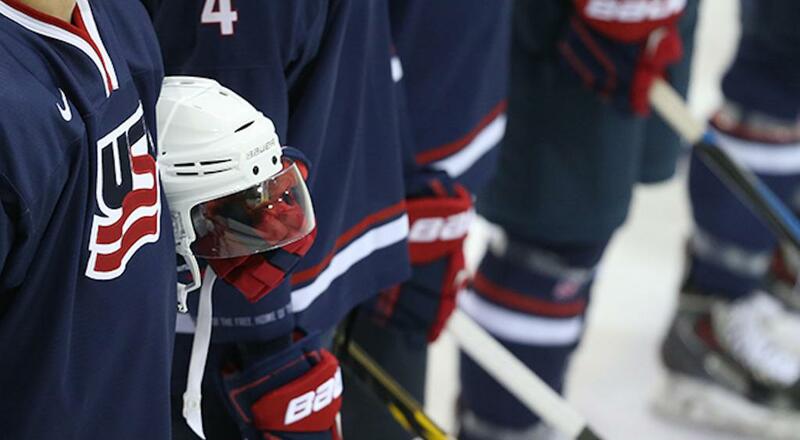 NOTES: Team USA recorded 27 shots while Slovakia had 35 ... Team USA went 0-for-3 on the power play and 0-for-1 on the penalty kill ... At the 2019 Winter World University Games, Team USA is competing in Group A alongside the Czech Republic, Hungary, Japan, Russia and Slovakia. All games will be played at Crystal Ice Arena … For complete coverage of the U.S. at the 2019 Winter World University Games, click here.